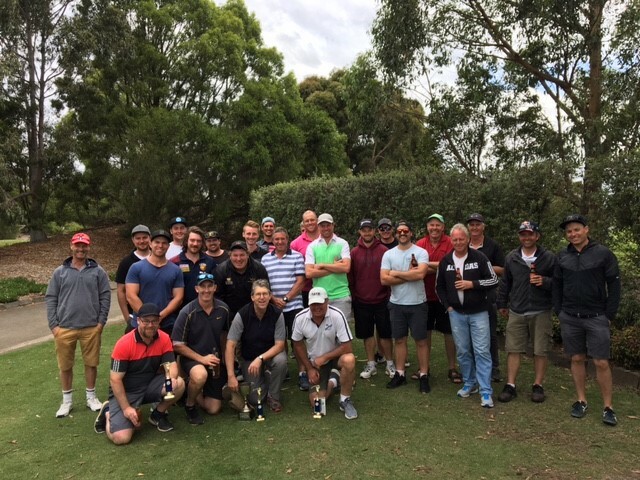 After a wet Sunday morning the HCC Golf Day (proudly sponsored by Elite Constructions) commenced on time with a 9.45am tee off at Dorset Golf Course. A big thank you to Paul Hampshire for organising the event, Elite Constructions for donating the prizes and Ray Brogden for cooking the BBQ. Please see below HCC Golf Day group photo, including winners (kneeling)- Chris Lethlean, Paul Hampshire, Stephen Knight & Andrew Daniel.